It has taken me some weeks to come to terms with receiving this honour. To be nominated alongside colleagues with the capabilities and standing of Dr Jacqui Ashton Smith and Dr Luke Beardon, both of whom have inspired and motivated me for many a year, was a great honour in itself. But to be given the Award on the night both surprised and delighted me. I am so grateful to colleagues who nominated me, the judges who made the final decision and to the National Austistic Society for this fantastic accolade. The evening in the Royal Hall in Harrogate was one of the most exciting and rewarding experiences in all my time working in the field of Autism. To learn that I was also following in the footsteps of the two previous winners, Prof Rita Jordan and Dr. Judy Gould, was also very humbling. I have been very fortunate to have had many opportunities to learn from both of them and many other inspiring people over the years. All I have been doing is passing on what I have learned from people like these. 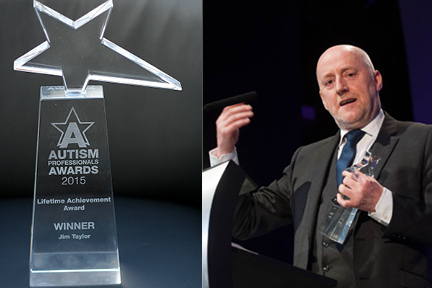 Thank you to the National Autistic Society and everyone involved with the Awards process around the country. A special thanks to those people with autism, their families and the staff who work directly with them for the pleasure of their company on this road. What the Conference and the Awards ceremony confirmed is that when our focus and drive is on working together to put the lives of this group of people right at the centre of what we are doing and not finances, politics or egos, then much, so much, can be achieved. But to be presented with…A Lifetime? I’ve only just got here. 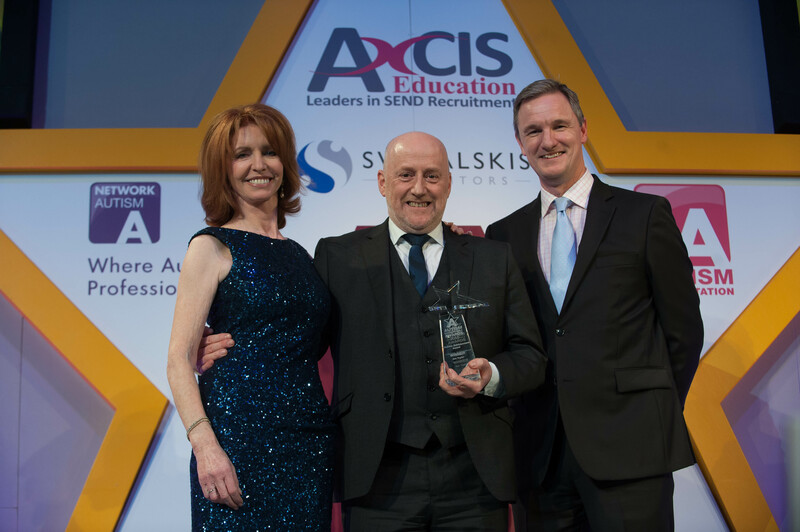 Read more here from the Autism Professional Awards and their press release. This entry was posted by admin in autism, awards, conferences, events, national autistic society, News & Events. Autism Awareness Week 2017. Will I see you? Oliver Sacks was one inspiration.